Since Venus' professional debut in 1994, there has not been a more polarizing or dominant presence in the tennis world than the Sisters Sledgehammer, Venus and Serena Williams. Although they have distinct personalities and games, discussing the sisters independent of each other is an almost impossible feat. It's as if Richard Williams and Oracene Price spawned their own female version of Federer and Nadal. Each brilliant independently, each owning a prominent place in tennis history, but inextricably linked and for better or worse, defined by their cohort. While their independent records are sterling, taken together, their 20 singles majors titles would place them ahead of legends such as Chris Evert and Martina Navratilova and just behind Margaret Court and my female GOAT Steffi Graf. They've also paired for 12 doubles majors including an unheralded Sisters Slam (Wimbledon '09 - French Open '10). Taken independently Serena is a major ahead of Billie Jean King and Venus ties Justine Henin, the best non-Williams player of the era. We could spend a post or five ruminating on what's made them polarizing, controversial, etc., but in our eyes, every player's tennis legacy is made by their hands and the racquets in them. And frankly, who can argue with what their racquets hath wrought? To think that two sisters with no tennis pedigree from the cracked courts of Compton, California would both become serviceable pro players is a flight of fancy. To think that they would both one day win Wimbledon is outright delusional. To think they would win nine out of the last 11 Championships at the All England Club, well, the vocabulary needs to be invented. Yet that's exactly what happened. The Williams sisters weren't shipped off to a forehand factory known for turning out champions, nor were they paraded around the junior tour as the next big thing. They all but appeared out of nowhere to provide the current generation answer to the dominance and longevity of King, Evert, Navratilova and Graf. Not only have the Williams sisters won everything on court from tour events, to majors to Olympic gold, to more prize money than any other female athletes in history; they've also been a major boon to our sport. The interest in the success and rivalry of the sisters singlehandedly elevated the US Open ladies' final from being the filling in a sandwich of men's semifinals to being a prime time main course of its own. Venus in particular has been a paragon in the image of Billie Jean King and Arthur Ashe. 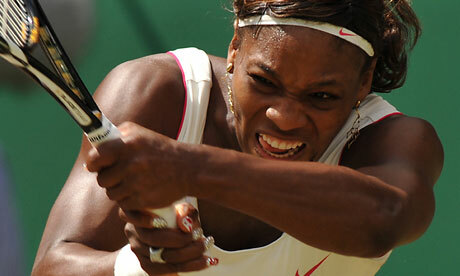 The elder Williams was the most vocal player in the fight for equal pay for the women at majors. Even more impressively in my opinion, Venus spoke out against the United Arab Emirates' refusal to grant Shahar Pe'er entry to the country for the 2009 Dubai event in front of that country's dignitaries while simultaneously accepting the championship trophy. That image is what makes the Williams such compelling figures, for whatever else they may have done, it's always been against a backdrop of spectacular on court success. Without them, the WTA is far poorer and we've seen ample evidence of that over the last year. By the time the Eastbourne tournament, where the Sisters are returning to active duty, ends, Venus Williams will be 31 years old; Serena will be 30 shortly after the US Open. 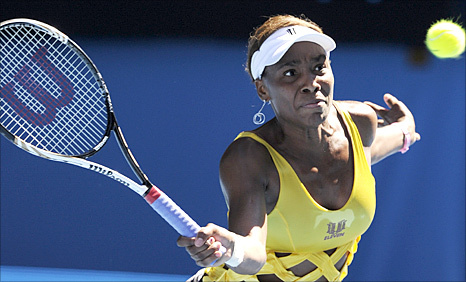 In the last year, Venus has played a grand total of four events; Serena two. Eastbourne is of course meant to be merely a prelude to the sisters return to Wimbledon, the green patch of Earth where the sisters have shared their greatest success. Despite not having played a match since last Wimbledon, Serena's currently the bookies' second favorite (behind a resurgent Maria Sharapova) to take home the Venus Rosewater Dish. In reality though, who knows how they'll actually play. For her trouble getting off the injury list, Venus was rewarded with a first round tilt with surging German Andrea Petkovic. In other words, she probably won't be around long. Even looking beyond the first round of Eastbourne, it's impossible to say just where the Sisters Sledgehammer stand now as tennis players. Venus is more injury-beset every year, while Serena has fought life-threatening medical issues this year. Given their advanced ages (in sporting terms), the state of their bodies and extended stints on the sidelines for both you can't help but wonder what they have left. I can't help but wonder how tennis fans will greet the sisters on this latest and potentially final comeback. The cliché states that absence makes the heart grow fonder, but I think the Joni Mitchell quote I opened with is more apropos. The reality is, love or loathe their personas, these are two of the most dominant athletes of our time. Dominance is often hard to appreciate when you're seeing it up close; watching your other favorites being vanquished as if on schedule. In that sense, perhaps the annus interruptus for the Williams has been a blessing in disguise. It may have given fans gritting their teeth at the sisters' dominance the impetus to take a step back and realize how special this is. To witness the careers of Venus and Serena Williams, is to play spectator to the writing of a legend that will live on as long as people are playing this game. So, Williams lovers and haters alike, enjoy their victory lap. We won't see a whole lot more of these ladies as players, and we've probably already seen their best. It's time, once and for all, to give them their due. Be sure it can handle it. Here are probably the most important louis vuitton replica sale to consider to help you find the perfect watch. Due to the elevated force sustained under the sea, diving watches tend to sport an rolex replica sale very switch window. Some general materials utilization in switch replica watches sale include: man made sapphire, polymer-bonded glass and solidified glass, each with their own set of advantages and drawbacks. If he enjoys a more classic style then you will have lots of classic models of watch to choose from, including Bulova watches, Armani exchange watches and rolex replica sale so that won be difficult. Like wise, you should not buy cheap binoculars for bird watching either. For instance, if you discover birding to be as habit forming even as do, then you will get hublot replica sale people out of switzerland reproduction watches.